SEO (Short for Search Engine Optimization). Its the primary internet marketing strategy you need to employ if you’re a small business owner looking for effective web marketing solutions. Organic SEO and SEM (Marketing) is free ranking in the major search engines (Google, Yahoo, Bing, etc) and should be the online marketing mainstay of internet marketing consultants or a company with a limited budget. Organic search results (or natural search results) determine a website’s Page Rank. 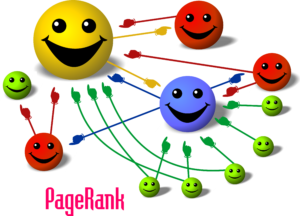 First created by Larry Page and Sergey Brin in 1996, Page Rank is a link analysis algorithm, which, roughly translated, means it picks winners among website URLs and assigns them “placement” by popularity. The amount of traffic, or incoming links, to any given site determines its rank in the SERPs (Search Engine Results Pages). When a new URL (website domain name https://yourwebsite.com) is introduced to the internet, and the attached website is built, that domain and website can be submitted to the major search engines by registering and verifying them. Even if a site isn’t formally submitted, the web-crawlers or bots (apps that crawl the web looking for new content) will find the new site and start crawling it for content. 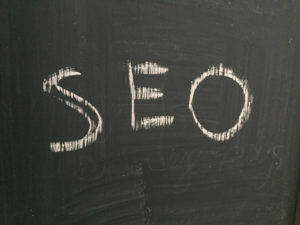 For internet marketing consultants, the most important component to achieve higher rank in search engines, is keywords. There are many aspects to keyword placement in any online post. The keywords must have a density that’s attractive to the web-crawlers. So to have a keyword “density” that’s attractive to these “spiders”, the internet marketing or SEM consultant must employ what I call the ‘Goldilocks Principle’, not to much or too little. According to most experts, the keyword must appear multiple times in the text of your online article but not so many that it loses its relevance to the subject matter, or appears arbitrarily “stuffed” in. In the old days of SEO (a few years ago), the search engine crawlers paid particular attention to meta keywords, or lists of keywords placed in the code at the top of a webpage, on a line that begins with meta, hence the name. Most SEM consultants agree that meta keywords are not a major factor in determining Page Rank for most websites, although they are crawled, and can provide a baseline for the focus keywords on a particular web page. So there are “head” keywords and “longtail keywords” which refers to the main or “focus” keyword for the page that will presumably have a higher search volume, and the “tail” keywords that have much lower search rate. When I say “keyword” its rarely just one word, in fact it more accurately can be called a keyword phrase as it can rival an actual sentence in length. There are also LSI (Latent Semantic Indexing) keywords or terms that relate to your topic and support the relevance of the main keyword phrases being used such as “online marketing” or “digital ads” might relate to and support the keyword “Internet Marketing Consultants”. Keyword “phrase” placement in any post or article is an important aspect of SEM but there are many others, and the specific requirements to get well-ranked in the SERPs are always changing. That is, the algorithms employed by Google and other search engines are always being rewritten to more efficiently adapt to new content, and to new URLs being introduced to the web by users, entrepreneurs, small businesses, and corporations. The algorithms are changed several times a year by the major search engines and are designed to give every site a chance to be ranked according to the relevance, usefulness of their content, and their popularity, determined by the amount of traffic each site gets from outside sources, which are also referred to as back links. Back links or “incoming links” are hyperlinks from other websites that are placed in the content of those sites to connect relevant or expository information that may expand or otherwise relate to the topic of the original post on the external site. There are also internal links which highlight relevant content on other pages of your own site. Also, outbound links, which you place in your article to link to content that will supplement or expand your topic on other, external websites. And finally, natural links, which are links that people who appreciate your article might put up on social networking sites or other websites and affiliates, spontaneously, after being directed to your site by a back link or search. These are all very useful to improve Page Rank on the SERPs. So the object at the center of all this back-linking and keyword placement is the article or post, better known as a blog (which this what this post about internet marketing, is about) that you compose, and visitors to your, site end up on (and hopefully read). Blogging is the main engine that produces content and eventually visitor traffic on the web. Its important that the content produced by blogging be right, relevant, and readable, and if it isn’t, then the search engines may penalize you for cheating, or trying to game the Page Rank algorithms to improve your ranking in search results. 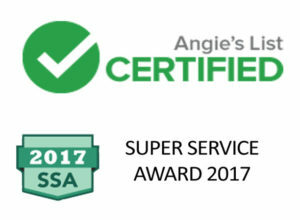 Which brings us to ‘how not to cheat’, and use the basic tools given above to achieve better ranking, better known as “White Hat SEO” so as not to violate the Webmaster Guidelines. There are many techniques that can earn you a search rank penalty (sandboxing) from the major search engines such as keyword stuffing, or repeating a popular keyword phrase multiple times on a site and/or hiding a keyword at the top of the page so that the web-crawlers will see it but the visitors will not. Another technique that will negatively impact Page Rank is using duplicate content, or copying and pasting written text, verbatim, to multiple positions across the web. Make sure that all new content is original, and really new. After your website is optimized for SEO, you should turn to building your social networking infrastructure on popular platforms such as Facebook and Twitter and post on them as well. There are many other optimization techniques for SEM that can be used by you and your internet marketing consultants, but remember, the internet is in flux, and the search engines are always changing their criterion for Page Rank, which makes the entire system more efficient, equitable, and hopefully better.